Meatless Monday addresses the prevalence of preventable illnesses associated with excessive meat consumption. With the average American eating as much as 75 more pounds of meat each year than in generations past, our message of "one day a week, cut out meat" is a way for individuals to do something good for themselves and for the planet. Want to go a step further and make some meals not just meatless, but without any animal products? Click HERE for some delicious plant-based recipes to try. As one of the steps for Silver Spring to become certified as an Earth Care Congregation by the Social Justice and Peacemaking Unit of PC(USA), our session discussed and affirmed the Earth Care Pledge on May 28, 2015. 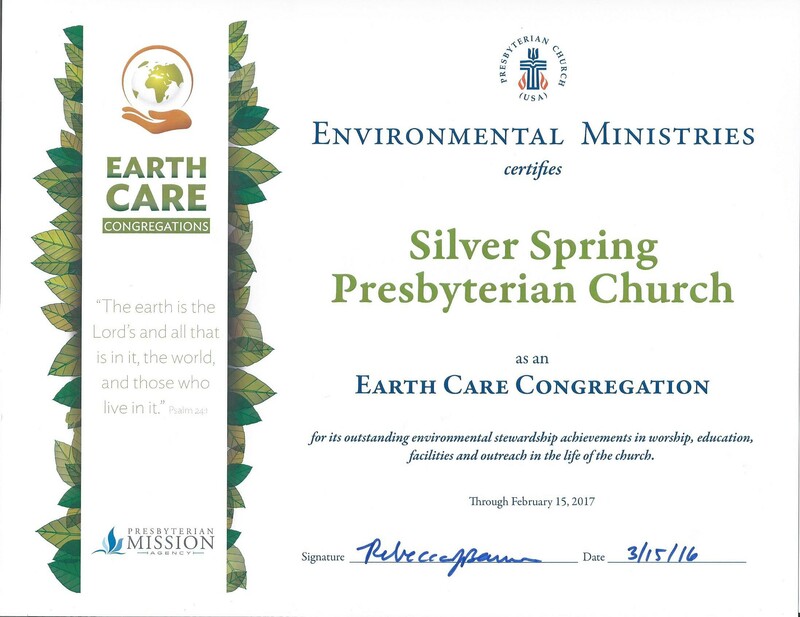 In February 2016, Silver Spring became certified as an Earth CAre Congregation by PCUSA's Environmental Ministries, good through February 2017. 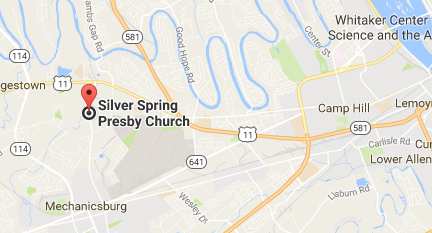 This honor speaks to the great commitment that SSPC has to caring for God's earth. 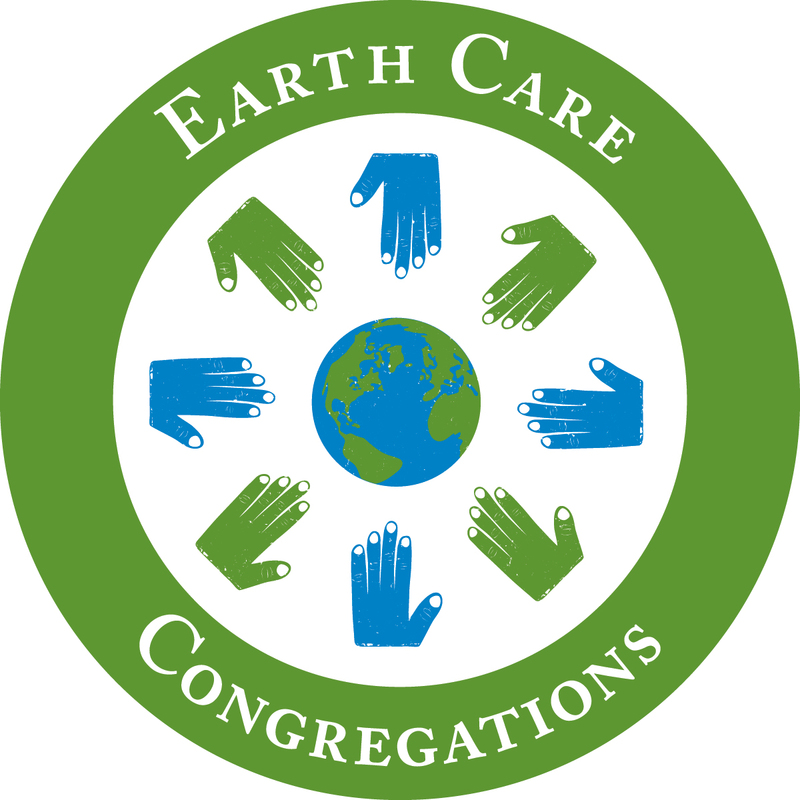 To become an Earth Care Congregation, SSPC affirmed the Earth Care Pledge to integrate environmental practices and thinking into all facets of its church life and completed projects and activities in the fields of worship, education, facilities, and outreach.